1. What was it like growing up in the Arctic? In many ways it is just like growing up in any remote small town, with all the peculiarities that follows. But there is a heightened awareness of the landscape and the weather in these parts of the world, where historically nature dictates the terms of the of human existence and creates a dependence on the surrounding environment. 2. What childhood memories do you return to? We were made to spend a lot of time outdoors all year round, so my childhood memories tend to be connected to the landscape(s) I grew up in. The weather and the light would dictate everything. We would roam the coastline during the endless the summer nights looking for bird’s nests and sea urchin shells, and in winter we would sled down the mountain or build snow caves. My memory of these landscapes has followed me around the world, and manifests itself as an uncannily comforting, non-specific geographical identity – a moment of intimacy that allows for a sense of place to linger in a new landscape. 3. How does the geography of the Arctic affect the mindset of those who live there? Connection to place and the landscape is an important marker of a Nordic identity. Nature is for these people what cultural historian Nina Witoszek calls a ‘perpetuum mobile’—a semiotic centre around which everything moves. The natural forces in these northern landscapes are self evident—with all the attendant ramifications. I strongly believe that this is a place that you have to succumb to—it’s power undeniable. There is consciousness that arises from an engagement with these northern landscapes, a phenomenological spatial awareness of one’s own body in space. Often inducing a heighten perception of nature, with all it’s transcendent otherness. 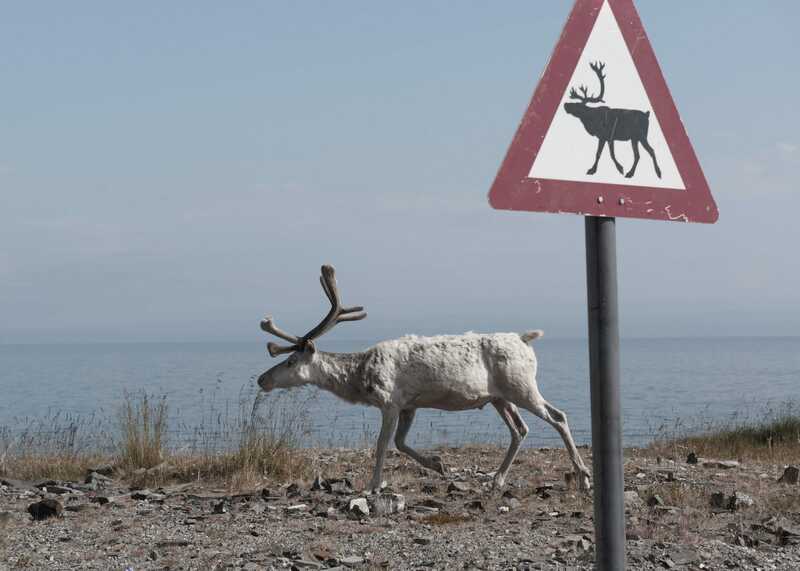 There is a long held belief amongst northerners that life-wisdom is not just found in social interaction or cultural centres, but rather in solitary confrontation with nature at its most extreme. It is to live in a landscape that rains down on everything else. The result is often a wonderfully dry sense of humour. There is this great little Norwegian film called Cool and Crazy, about a men’s choir from Berlevåg, that perfectly illustrates this attitude to life. 4. What are you drawn to in the landscape there? Why are you drawn to it? There is a sense of time slowing down when entering the Arctic landscape, and the sheer power of this environment feels intensely emancipating. I believe my own geographical background of spending informative years in this remote environment has strongly informed my deep interest in the landscape, whether it is in the Arctic or somewhere else. I’m not only drawn to the physical aspect of the landscape, but also what it might represent psychologically. 5. Tell us about a few of your special favourite places, however large or small. Vigelands Parken, Oslo. I always make a point of visiting the park when I’m in Oslo. I just love Gustav Vigeland’s over 200(!) sculptures made from granite, bronze and wrought iron. The sculptures are a result of his life long obsession with the human form and depicts emotional states through its physical manifestation. Tasman Peninsula, Tasmania. Such powerful place. It is a landscape that embodies both visible and absent memory, where its dark colonial history exists just under the surface, quiet and foreboding. It is also a place of sublime natural beauty. The coast line of Magerøya, northern Norway. I find the meeting point of the natural forces between land and sea can be both intimidating and liberating. I have always lived near the coast. I haven’t read Barry Lopez’s book, but I definitely will. Roni Horn’s work from Iceland is a stand out for me. Through most of her photographic work, place, experience and identity from an existential phenomenological position - of being in the place - are her primary objectives. She once said in an interview that Iceland is her becoming: ‘I come here to place myself in the world: Iceland is a verb and its action is to centre’ There is a distance in her work that foregrounds its formal appearance, yet I find it has a deep personal undertone. Her minimal, almost passive approach to her images I implicitly understand; they are at once compelling and comforting. An other artist of great influence is German-born artist Mariel Neudecker. She has a long history of engaging with the contemporary sublime. Her work once draws on the classically beautiful while being possessed by a somewhat unsettling undercurrent. Neudecker’s play on pictorial space - reality that is not real, the familiar yet unknown - makes it a great representation of our complex way of dealing with memory and perception. I find myself attracted to this renewed desire to pitch the landscape up against our inner psyche. She often draws on the tradition of landscape painting, creating an uncanny connection to something beyond the physical of the landscape. She has in recent years spent time in the Arctic, and for her show There is Always Something More Important she recreated an iceberg in a domestic environment. 7. 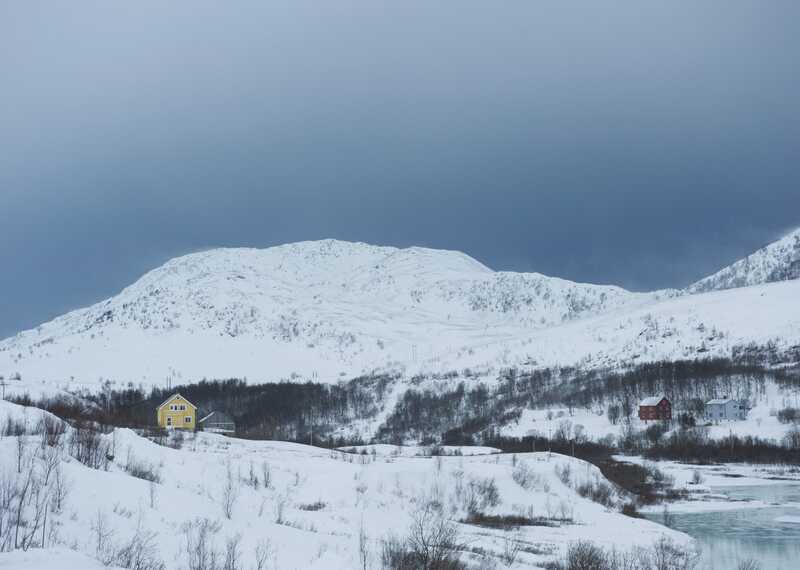 What are the seasons like in the Arctic circle? How do they affect the people and place? There is a sense of deep mourning as autumn descends, a prelude to what for some seems like a long, bleak and foreboding winter ahead, filled with melancholy and isolation. Yet, for many, this dark time is a period for self-reflection. An embedded belief that the light must be balanced with the dark to truly understand one self. This way of thinking I find very different amongst the inhabitants of this sun-drenched continent. There is a certain uneasiness here around the concept of melancholy. But as winter slowly dissolves in the north, the mood lifts and all the senses are filled with the prospect of endless summer days. The Swedish writer August Strindberg once declare that summer is the season when ‘in all the countries in the North, the earth is a bridge and the ground is full of gladness’. 8. 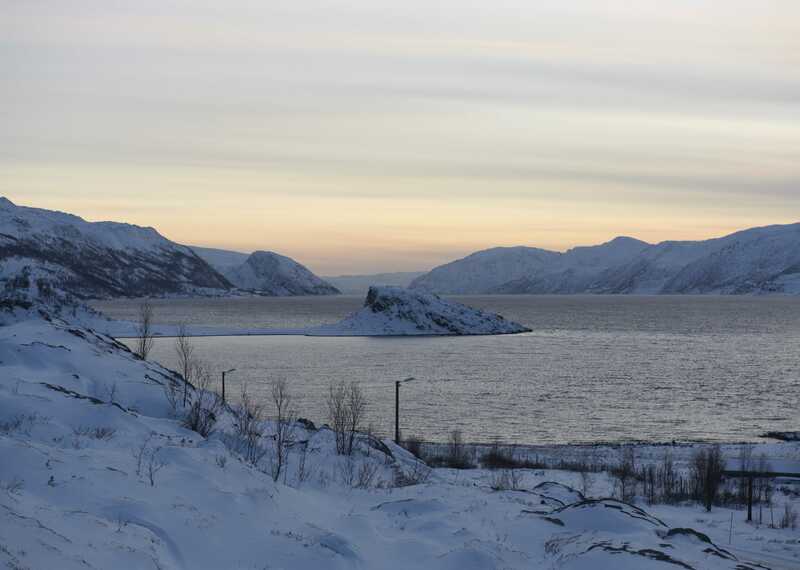 What does the future hold for the Arctic? And for your relationship with it? That’s such an overwhelming question. Obviously I’m extremely concerned with the profound changes happening in the Arctic. It was very clear last time I visited how fast the environment is changing up north – it is such a barren landscape that every shift in the natural environment is exposed. The summers are getting warmer, the vegetation is growing taller and the Aurora Borealis is more active. These are things that might appear to most people as positive changes, but they are not. They are deeply ominous and troubling. 9. 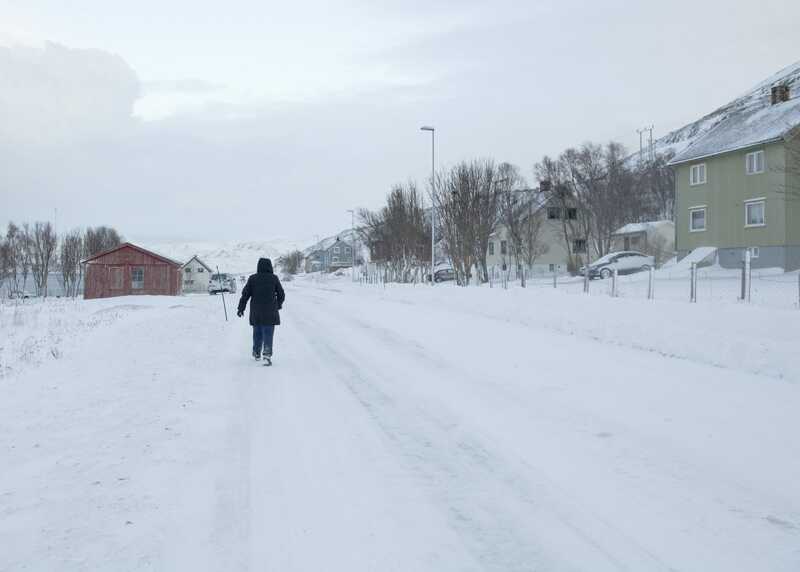 What does it feel like to be outside and making art in the Arctic? What sort of things are you thinking or feeling? Much of my art practice is rooted in working with or around the landscape. This has often been my entry point to the understanding of my place in the world. I believe this is an embedded cultural way of thinking - part of a strong geographical identity and my Norwegianness. It is an environment imbued with triggers that often give rise to an uncanny sense of place. This becomes further amplified when returning to a place of personal importance, enforced by the experience of a corporal – spatial exchange and a sense that place remembers.